The College's International Administrator, Miss Gemma Hooley caught up with Dr Alice Wort, Microbiology trainee and Chair of the Trainee Advisory Committee (TAC) last month to discuss International Women's Day (IWD) that is taking place on 8 March 2017. In October 2016, nine fundraisers trekked the Sahara desert to raise funds for the College's global health work. Highlight's from the Royal College of Pathologist's (RCPath) LabSkills Africa conference on improving pathology diagnosis and laboratory medicine in sub-Saharan Africa. The event was held at the Sheraton Kampala Hotel, Uganda during 22-24 September 2015. Team RCPath cycle 334 miles from London to Paris in aid of the College's global health projects and activities in under-resourced countries. 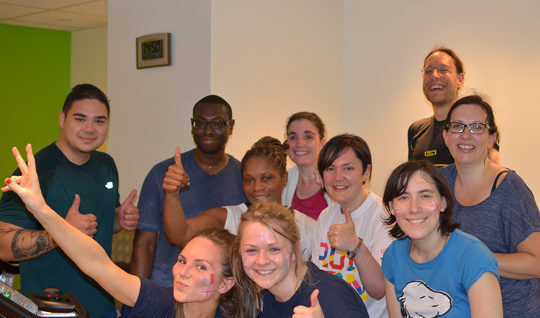 RCPath staff collectively cycle 336 miles during a series of group spin classes to raise funds for the College’s Global Health Challenge scheme. Learn more about our LabSkills Africa project to improving laboratory medicine in sub-Saharan Africa. 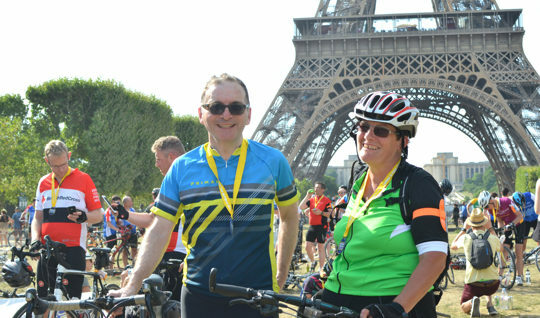 Take on the Prudential Ride London-Surrey challenge in 2019 and fundraise for the College's global health work in low and middle-income countries.